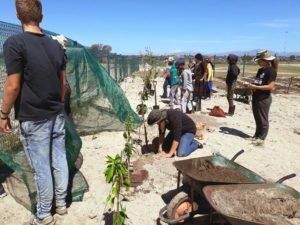 The Philippi Horticulture Area (PHA) Campaign – who host hundreds of UCT and foreign students a year and was presenting at this year’s conference – has withdrawn from the Agroecology for the 21st Century Conference in Cape Town this week. The event is taking place at the Centre of the Book, Queen Victoria Street, Cape Town CBD 28, 29, 30 January 2019. The PHA Campaign and small-scale farmers will be picketing outside the venue. We will not appear on the same platform as those who seek to annihilate small scale farmers in the PHA, destroy the unique and irreplaceable breadbasket of the city, deny the need for land reform and who actively engage in the greenwash of agroecology. The City of Cape Town (CoCT) and Department of Environmental Affairs and Development Planning (DEADP) are appearing in court alongside developers against the PHA Campaign. 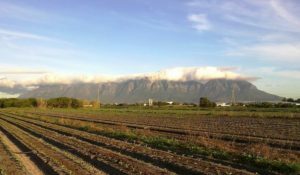 We are a community of small-scale farmers and their supporters who have been fighting to defend the very survival of the city’s 130yr old farmlands – the Philippi Horticultural Area – for a decade. Not even the disastrous drought has made the CoCT and DEADP see reason and preserve the most productive horticultural area in the country. The whole of the 3,000ha of the PHA is part of the Cape Flats Aquifer Protection Zone – a potential source for 1/3 of the city’s potable water need. Their legal stance confirms CoCT and DEADP’s intent to destroy the city’s food supply and the city’s best chance for food security and climate change resilience; and destroy the community of historically disadvantaged farmer’s best opportunity for land reform and the future of agroecology in the city. The CoCT and the Western Cape Provincial Department of Agriculture (WCPDA), via the 2018 Indego Study, have ‘engaged with the community’ and have done ‘public participation’. In reality this study simply endorsed the final assault on the PHA, deleting 1/3 of its hectarage, and endorsing all the developments. All this while stating in a giant PR campaign with the CoCT, that they are “protecting” the PHA. It ignores the seven previous studies calling for the preservation, protection and management of the PHA. Please do engage the campaign on this issue outside the venue. That DEADP and WCDA’s SmartAgri policy is the opposite of agroecology, supporting agribusiness and maintaining the status quo around land, water and the food system in general. Nowhere in the program is land raised, nor the issue of spatial planning. Without land there can be no agroecology practice. The South African debate around land is now a crucially contested arena between small scale farmers (who feed the world and who are 200 000- strong in SA), and furthering the interests of agribusiness and commodity farming. The loss of peri-urban farmland in this city and across the country is the biggest threat to food security; wherein lies the best opportunity to deploy agroecology and meaningful land reform. The government of the Western Cape by opposing us in court, confirms its contempt for both our country’s Bill of Rights, AND the international treaties which undertake to progressively realize the right to food security. We object to the CoCT equating food security with urban food gardens. While food gardens is a way to create awareness around the commodification of our food and has a place in every community and in schools, this does not equate to feeding millions in a city, and actual, scalable food security. Farmlands feed people. 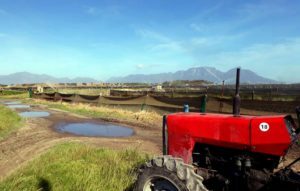 While supporting urban agriculture under the guise of “food security”, the CoCT and provincial government are deleting well-located farmlands that actually produce our food in favour of urban development, and gentrified for wine farming and commodities. Stellenbosch, a highly gentrified farming area imports 80% of its vegetables. Constantia wine farms produce no food and the farming practice is implicated in the death of hundreds of thousands of bees. Both these areas enjoy protection by city and provincial policies. 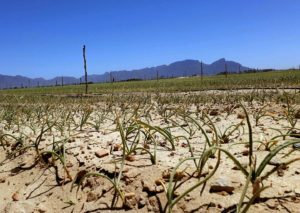 Meanwhile the PHA farmlands, Joostenbegrvlakte and other well-located peri-urban farmlands have been re-zoned for development – while 11,000 hectares of non-arable, existing land in the city is ignored for housing. 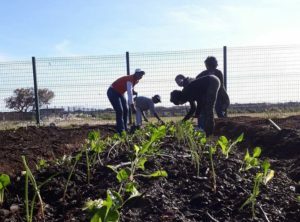 To reverse the city’s Apartheid Spatial Legacy, actual farmland must be given to hundreds of existing – LANDLESS – market gardeners across the Cape Flats. Pretty projects are not restitution. We thus object in its entirety, to the hosting of CoCT and DEADP speakers at this conference purporting to promote Agroecology. In our experience of ten years, they abuse the power of their office and talk green while acting right. Neither sustainability, nor acceptable environmental practice features in their governing practice. The real power is held by 100 000’s small scale farmers; their stories don’t seem to feature in this conference. Further, land and spatial planning which is central to our history is relegated to a footnote. Without land there cannot be agroecology. For more information please contact Nazeer at 072 724 3465 or nasonday@gmail.com. I find it almost impossible to believe that CoCT could be willing to obliterate horticultural land with so called development. So called development that takes place on arable land is actually a crime against future generations and it should be viewed as such. Wake up CoCT!!! !